With all the cold weather we’ve been having, I am SO ready for spring! The warmer weather gives us an excuse to get out of the house and it brings so many opportunities to entertain. 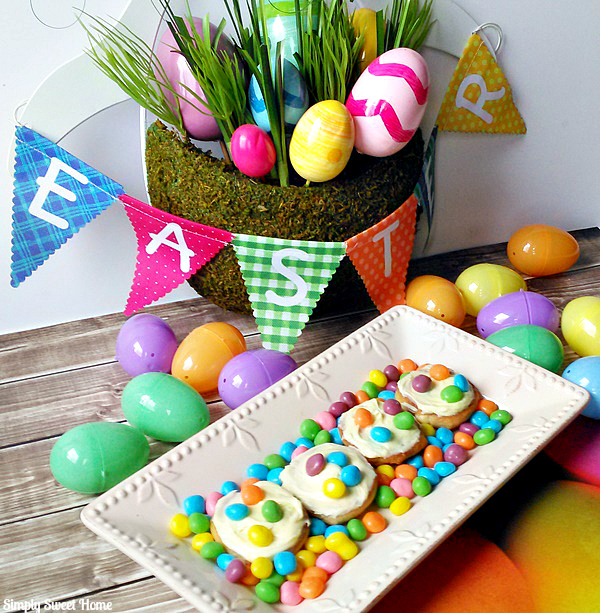 Last weekend I jump started the season with a small family get together, and today I’m sharing just a few of my ideas and Easter party solutions. I hope it gives you a little inspiration. When it comes to parties, the most important thing is the food! Last weekend I used a variety of products from DiGiorno and Nestlé. We always have DiGiorno pizza in our freezer, and it conveniently bakes up in less than 25 minutes, so it’s a perfect solution for a last minute get together. 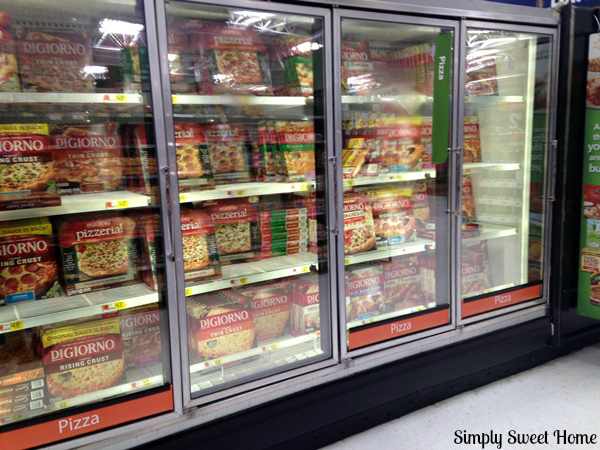 You can find DiGiorno pizzas in your Walmart freezer. Most recently we tried the DIGIORNO® pizzeria!™ Supreme Speciale Pizza. 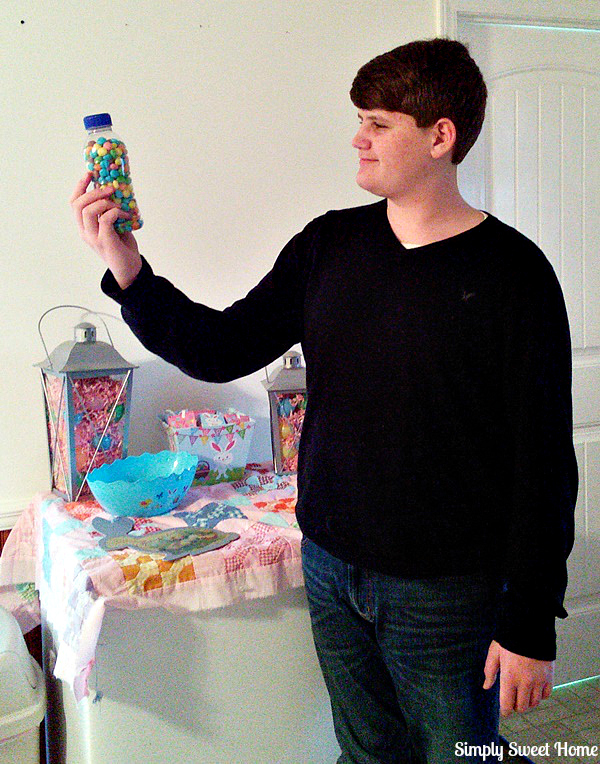 Aside from the SWEETART® Jelly Beans, I found a great selection of other NESTLÉ Easter candies, including NESTLÉ® BUTTERFINGER® NestEggs, and NERDS® Bumpy Jelly Beans! 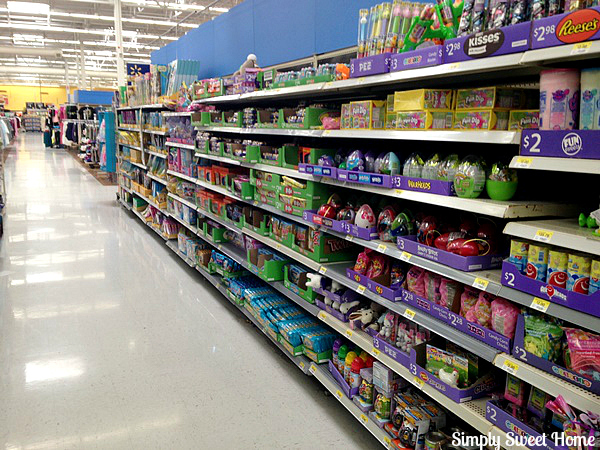 Look for these and other seasonal NESTLÉ favorites at Walmart in the Easter aisle. While shopping for the party I also picked up some Nestle Chocolate Chip Cookie Dough and some White Chip Lemon Cookie Dough. These are so perfect if you want to serve something freshly baked but don’t have the time to bake from scratch, and they taste so yummy! 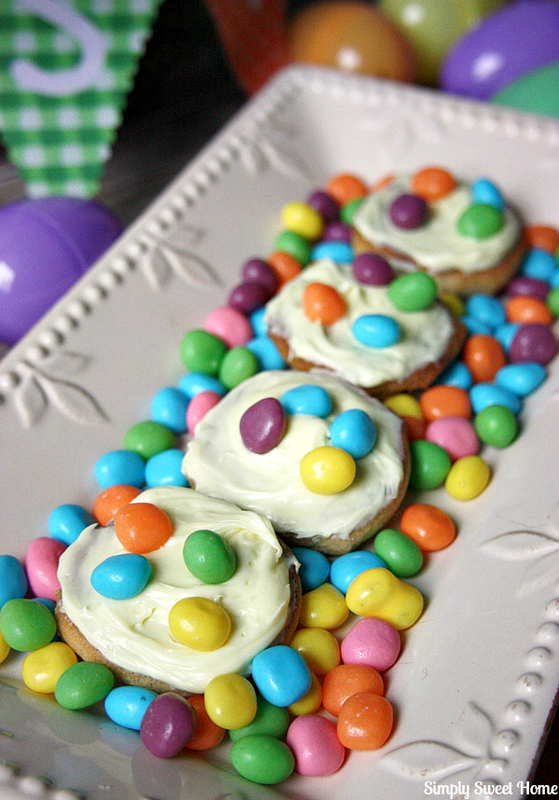 To add just a little creativity to the mix, I took some of my cookies and topped with them with a little frosting and SWEETART® Jelly Beans. Check it out! Bake cookie dough as directed. Allow cookies to cool. Place a layer of frosting on each cookie. (I find if you turn the cookies upside down, they are easier to frost.) Then place 4 or 5 SWEETARTS® Jelly Beans on top. Serve & enjoy! Sugar Cookie Dough would also work great with this, as well as other fruity frostings like Orange or Strawberry. And as if that’s not enough, the jelly beans also are perfect for a fun little guessing game for kids of all ages! At some time or another I’m sure you’ve been at a party or event where you could guess how many beans are in the jar for a chance to win a prize. I looked around for a free printable that I could use for this activity and finally I decided it would be fun to make my own and offer it as a freebie to you! Just fill a jar up with jelly beans. Then print out enough sheets for all your guests and have them fill it out with their names and their guesses. Then have them fold up their sheet and place it in a special box. After everyone’s had a chance to fill out a sheet, check out all the answers and find out who got the closest! I even upped the ante with my printable game. 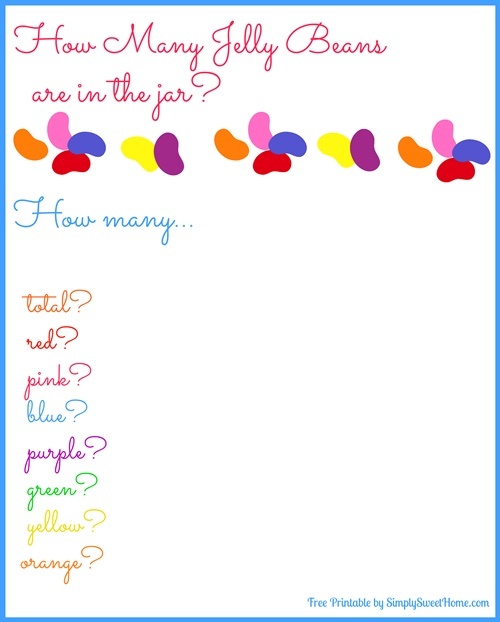 Not only will your guests have to guess how many total beans are in the jar, but they will also have to guess the numbers for each color. (If one of the colors doesn’t exist in your jar, just tell your guests to mark it with a zero. Click Here to Download the How Many Jelly Beans Printable. Are you planning any parties this spring? Check out these Spring party ideas. And check out more product information and ideas from DiGiorno and Nestlé. I love the cookies and thank you for sharing the printable. Stopping by from #This is how we roll Thrusdays. 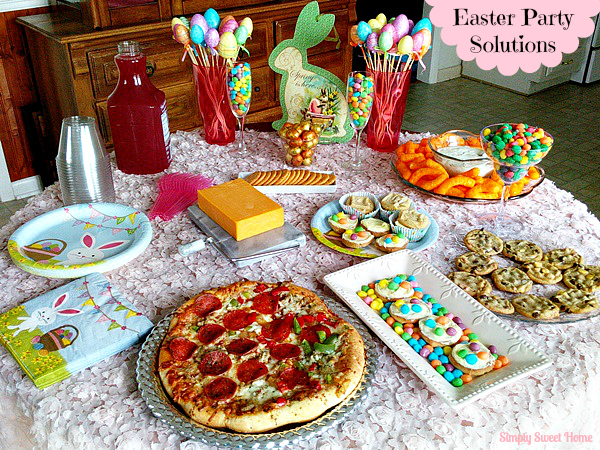 What a cute Easter Party ideas, and I like the Pizza, cookies and cheese and crackers! Your table is so colorful. I need to have an Easter Party! We for sure celebrate easter but not always know how. These are great tips that I will begin using. Nice job, you really went all out and the party looked awesome. What great Easter inspirations, I love the decorations. This is such an adorable party!! 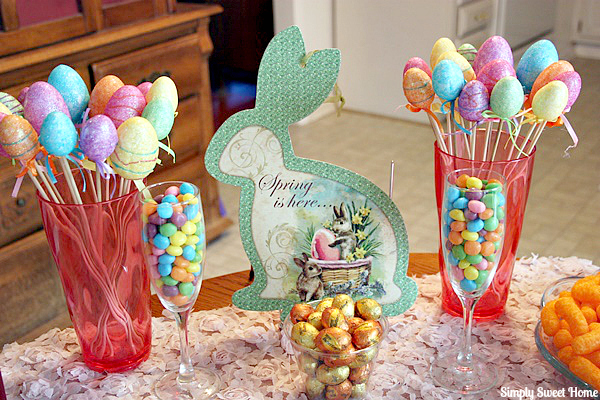 As I was reading and looking at the pictures, I decided I am having an Easter party, too. How can I not with these cute foods, games, and decorations?? Thank you for sharing! I found your post at This Is How We Roll Thursdays! 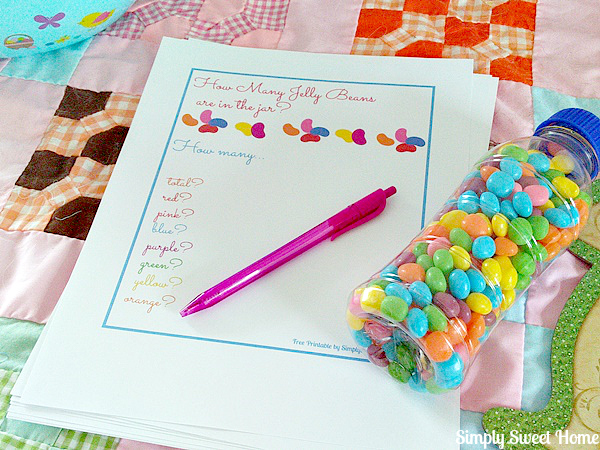 Thanks for the Jelly Bean Count printable. I just love to see all the pastel colors for Spring! I think the guessing game looks like fun and I’m going to try it with my family. Ive never been good at it. I’m never even close! 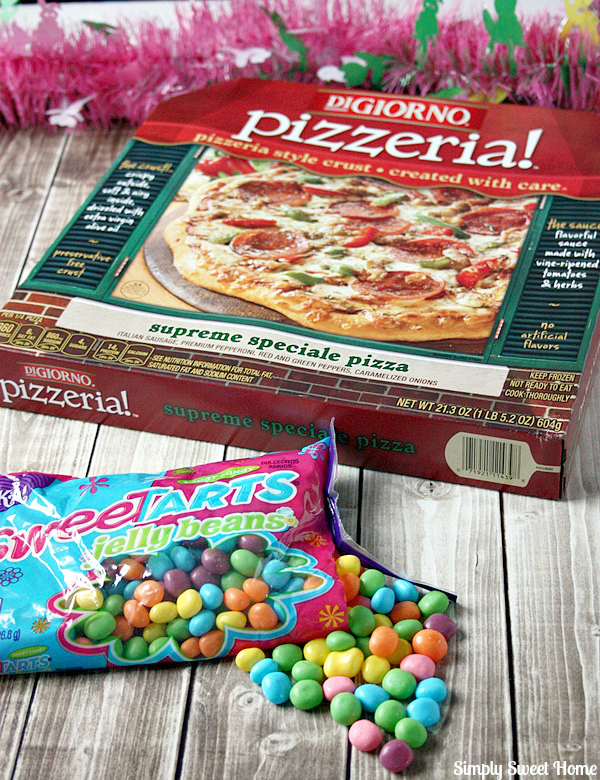 I never think of pizza and jelly beans together, but that’s a beautiful Easter layout. 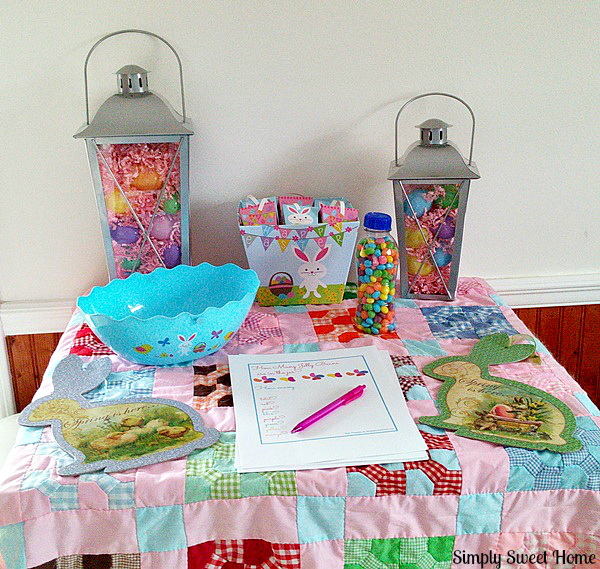 What cute ideas for a spring or Easter party. I love the idea of making cookies with Nestle Chocolate Chip Cookie Dough. You can’t have a fun party without cookies. What a cute Easter party! Everything looks so delicious and cheerful! Cute stuff! Those cookies look great! I will have to make those jelly bean cookies with my niece! Oh the cookies are so cute along with all the decorations! I love the guess the jelly beans printable!! This would be my kids favorite Easter ever if we served pizza! Very cute tablescape! 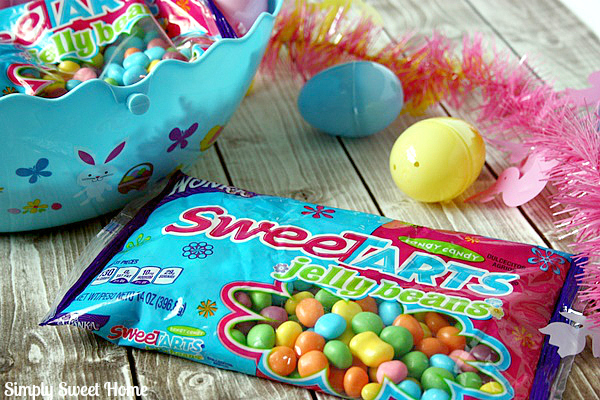 I love how much you used the pretty easter colored jelly beans to decorate, so colorful and pretty. The table setting was beautiful. I love the table cloth. I could eat the cookies through the screen. I love what you’ve all done! You’ve given me some great Easter ideas. What cute party decor and food, yum! 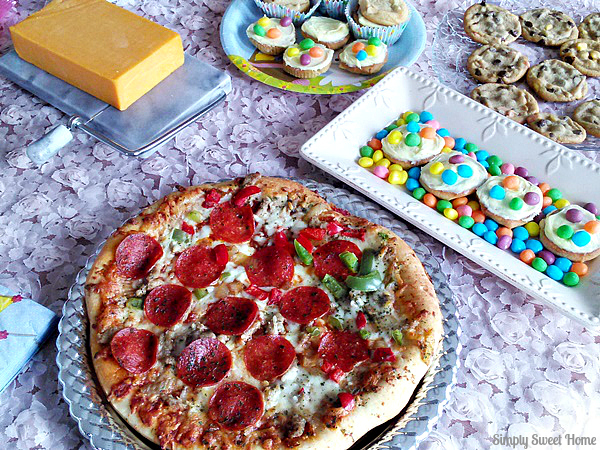 I would love that pizza and sweetarts as cookies, too. Nice colors, it looks like so much fun and good eatin!! I love the idea of guessing the different colors instead of just the sum of all, great idea. Everything looks so beautiful and delicious!